In this age of obvious health risks and problems, the issue of high blood pressure (and low blood pressure), are silent factors that affect a third of Americans today. High blood pressure is a leading cause of debilitating strokes and deadly heart attacks and is surprisingly responsible for more deaths than diabetes, obesity, and smoking. Simply put, being heart healthy matters more than we realise or acknowledge. Blood pressure goes up with each beat of the heart and then reduces as the heart takes a rest between beats. Rather than being constant, blood pressure responds to medication, emotional changes, sleep, diet, posture, and exercise. For these reasons, it is preferable to take multiple blood pressure readings over time rather than being put on the spot with a reading taken during a short doctor’s appointment which is nerve-racking, sometimes creating an elevated reading. Checking your blood pressure is a valuable way to get insight into your general health and to ensure that you are performing your best. Your blood pressure is affected by both your heart rate and your blood viscosity, as well as other factors like vasodilation. But having a data point that you can use to measure health gives you the opportunity to improve in all these areas and thereby reduce heart attack risk and more. The Omron M3 is a great option if you want to do just that. 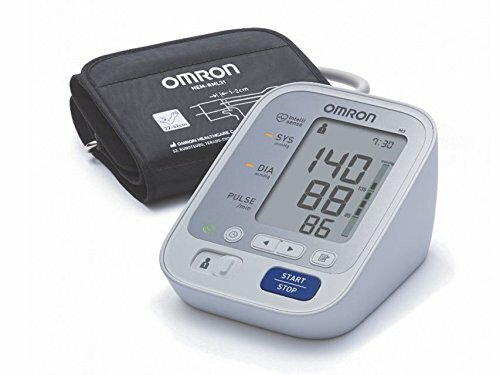 The Omron M3 is worn on the upper arm and will monitor blood pressure in the same way that you may be used to from the doctor. This provides a very accurate read that is even able to detect irregular heartbeats. The device will fit most arms (22-42cm) and allows for two users to be stored in the system at once. This is highly useful for seeing progress or changes if more than one person in the home has health concerns or just wants to improve their wellbeing. The M3 has the distinct benefit of being clinically validated, ensuring that the reading will be accurate. 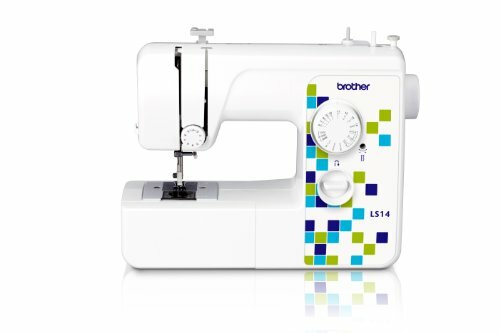 It is also very easy to use and operate and has the versatility to fit all users. The only possible criticism is the rather grey and clinical aesthetic. 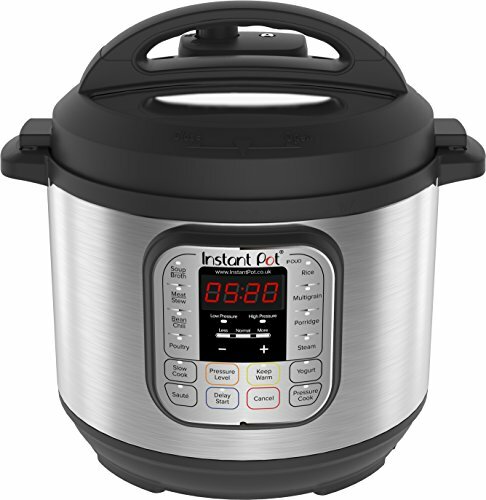 Overall, there is very little negative to say about what is a highly accurate, convenient and well-made device. The Duronic BPM150 is a blood pressure monitor that works via an inflatable band worn on the upper wrist. Anyone with heart health issues, or who have recently been for a general checkup with their physician, will be familiar with how this feels and operates. Having the ability to use these devices at home provides an extra level of convenience and allows you to monitor and hopefully improve your health without needing to visit the doctor. 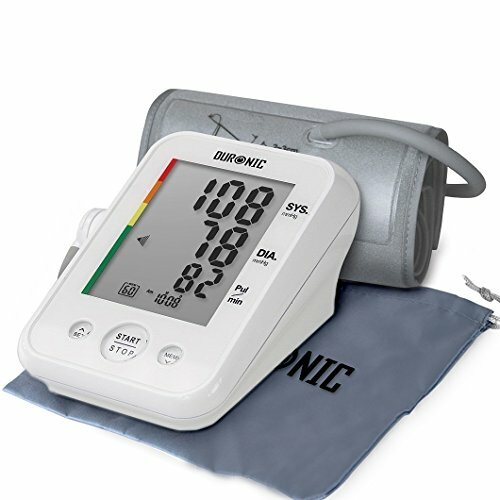 The Duronic BPM150 promises a highly accurate blood pressure reading that is easy to achieve and comfortable to use. 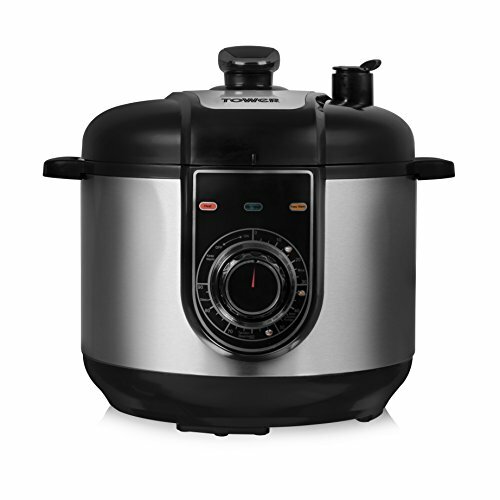 It has an ergonomic design with a band that will fit arms from 22-42cm. It also comes with a large display for controlling the device and reading the data and lets you measure a range of other details too such as your heart rate. This is another clinically validated and well-designed blood pressure monitor. The design is once again uninspired but as a tool for keeping your health in check, it is hard to fault. 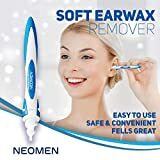 The device uses AA batteries, which might be something to consider if you want to avoid having to replace them. One other slight drawback is the lack of user profiles. This is best used by a single person, though if you just need it for individual readings, that will make little difference to you. 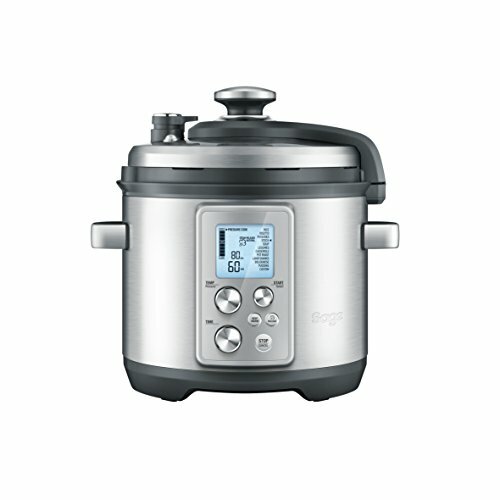 Overall, this is an excellent device for anyone that wants to get a better handle on their health. HIGHLY ACCURATE BLOOD PRESSURE MONITORS - The Duronic blood pressure monitors are used to give users accurate blood pressure readings every time. The unit comes ready to be used straight out of the box. It measures the Systolic blood pressure and the Diastolic blood pressure as well as the pulse/minute reading. 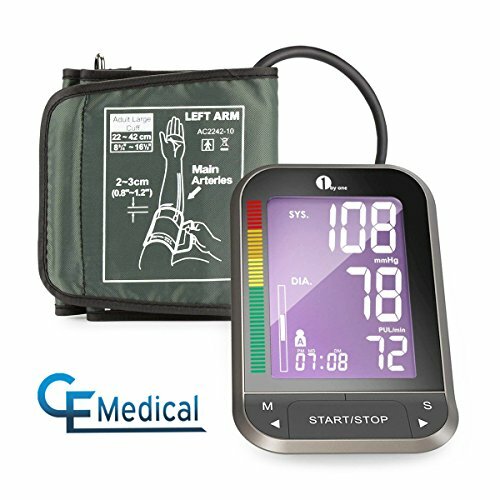 EASY TO USE ERGONOMIC DESIGN - This blood pressure monitor for upper arm comes WITH A cuff, and are all designed to be portable; it comes with a sturdy box which can be used to store away the device when not in use and includes a pouch for when you need to take it away with you. 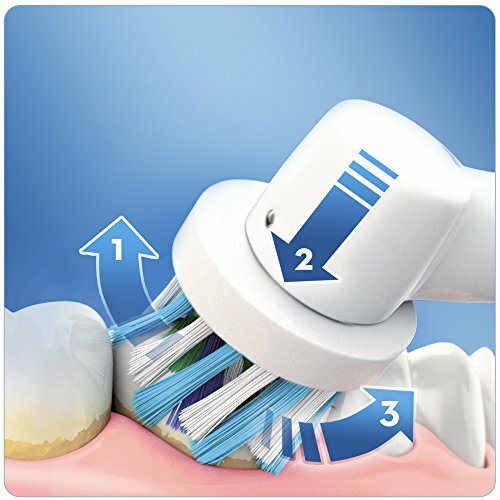 One touch operation allows for easy operation. INCLUDES A COMFORTABLE MEDIUM TO LARGE CUFF - The easy-fit cuff is designed for comfort, it's made of high tech material to ensure it collects accurate readings. A diagram is printed on the cuff to show the best position to use the cuff. The cuff will fit an adult's arm size of 22-42cm. LARGE DISPLAY FOR EASY READING WITH 60 READINGS MEMORY - This model comes with a large LCD display which clearly shows the results with large digits. If you wish to record your readings so you can keep track of your blood pressure then this device will help with its 60 readings memory. HOME USE AND PROFESSIONAL USE - NON-INVASIVE measuring BPM, safe and comfortable, measuring range: Pressure 0~280 mmHg, Pulse 40~200 pulse/min. 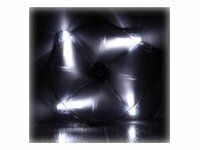 Power: 4xAAA batteries (included) AC/DC Adapter (excluded), Cuff provided to fit upper arms sized: 22-42cm, Product size: 102x143x73mm. If you suffer from high blood pressure, then it is highly advisable that you monitor this wherever possible. High blood pressure can lead to heart attacks, strokes and a range of other serious health risks. By using a blood pressure monitor though, it’s possible to keep a check on how your blood pressure is performing and to take action if it becomes too high, while also knowing whether lifestyle adjustments are working. The 1byone is a device that can help you to do all that from home. One of the nicest things about the 1byone blood pressure monitor is just how attractive it is compared to much of the competition. Many blood pressure monitors appear designed to look like something you’d find in a physicians office and are uninspired to say the very least. With the 1byone though, you get a device that looks like a tablet you might use to surf the web. A large display makes the reading of text easy and the device very easy to use. Other positives include a wide-range cuff for fitting all sizes, a highly portable form factor and the option for two users. On the downside, the product is battery operated and doesn’t come with a carry bag, unlike some of the competition. 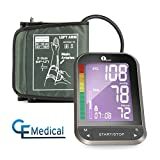 If you want a blood pressure monitor that doesn’t look like it’s aimed at people over 100, then this is a great choice! They say that ‘that which is measured, improves’. This is the central hope behind the entire ‘fitness tracking’ and ‘lifelogging’ movement. People hope to track their heart rate, their calories consumed and more and thereby be able to navigate lifestyle changes that will ultimately make them fitter, happier and healthier. 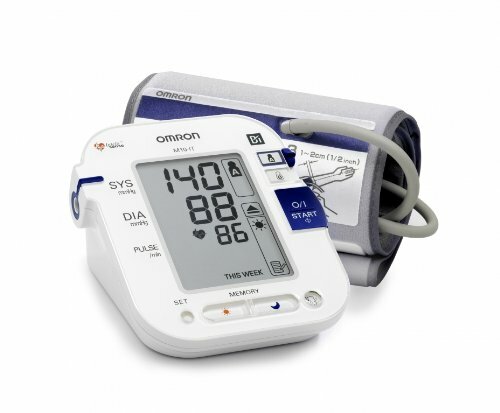 The Omron M10-IT takes this a step further by also allowing you to measure your blood pressure from home too. The Omron M10-IT is a clinical looking white device that has software support for up to two users. It also offers the option to get average readouts and will automatically register the time of day. This is an important and useful function, considering how much our blood pressure can vary in a single day. 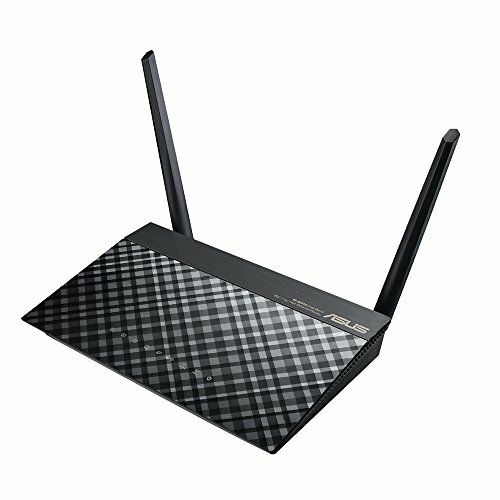 The software is really where this product shines. Along with having multiple users and the average function, the Omron also offers alerts for any movements which could potentially disrupt readings and cause them to appear irregular. On the downside, the device technically only supports up to Windows 7. 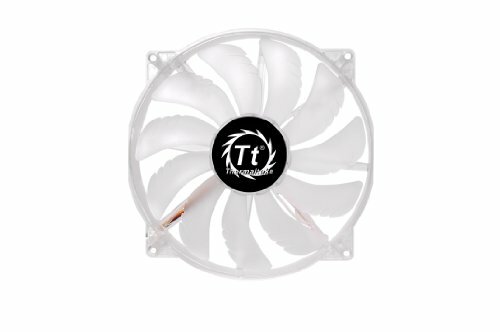 While you should have no problem with a newer PC, this is something to consider if you want to get the full use of the device. It’s also a shame that this product doesn’t come with a carry bag, like some others. Overall, all the additional software features of the Omron may be just what users need to get the truest picture of their health possible. 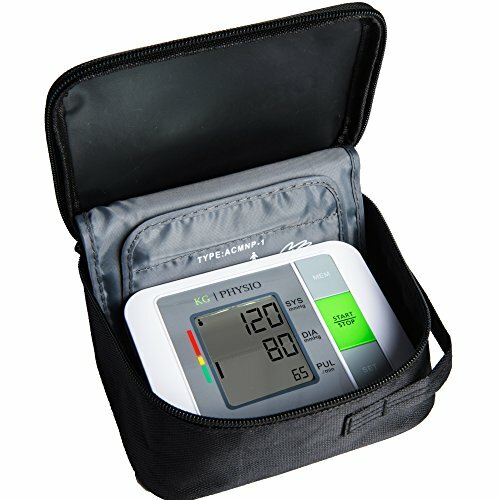 This blood pressure monitor by KG provides a portable solution for reading your blood pressure, in order to monitor your health and hopefully see improvements. Those with high blood pressure or heart health issues may be recommended by their physician to begin monitoring their blood pressure on a regular basis and this can help them to not only get warnings when their pressure goes too high but also to see which lifestyle changes and interventions are working and providing the best results. Can the Blood Pressure Monitor by KG serve that purpose? One great feature about this blood pressure monitor is that it is powered both by batteries and by the mains, ensuring you’ll never be unable to use it when you need to. It is highly consistent and uses medically approved and clinically validated methods. 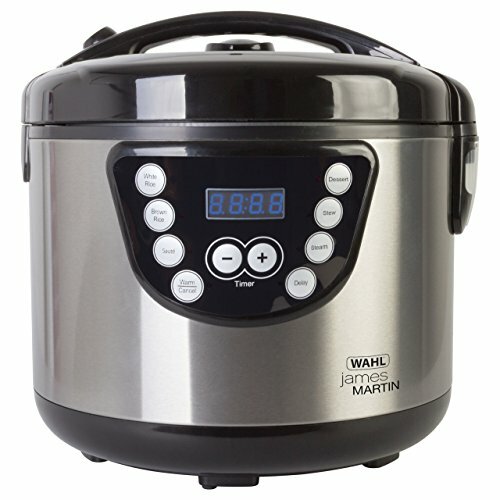 It also comes with a great carry case and has a user-friendly design and aesthetic. This is one of the more attractive blood pressure monitors and is also highly portable, especially thanks to that carry case. 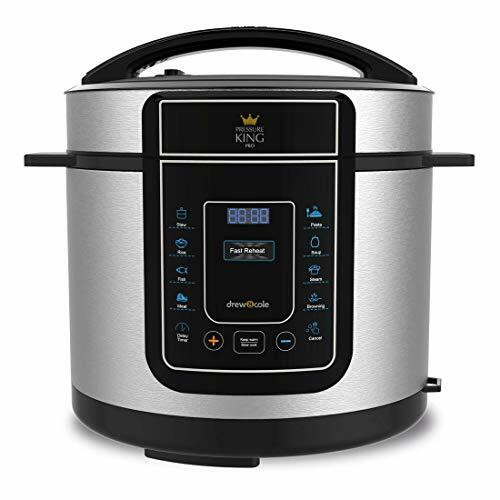 It’s particularly advantageous that it can run on batteries or the mains and the FDA approval should also help many people to rest easier. The only potential downside is a lack of multiple user-support, but for many, this is unlikely to be an issue. 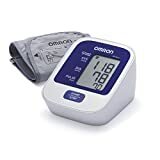 Overall, this is a fantastic blood pressure monitor that is reliable, easy and fun to use and well designed with a host of useful features and settings. Blood pressure monitors are available in either a wrist or arm cuff or fingertip versions. There are also differences between brands, models within a brand’s range, performance, features, appearance, compactness, and price. Below we run through the types available. Wrist monitors are designed to be pretty hands-off with settings that are automated. Nonetheless, readings tend to be less accurate than when an arm monitor is consistent, correctly fitted to produce a series of accurate readings. While the use of health apps that attempt to read your heart rate only using your smartphone isn’t accurate enough for serious medical purposes, some companies that produce monitors do offer mobile apps for iOS and Android. These apps are useful for receiving multiple readings and making it easy to access this information in the doctor’s office and elsewhere when it is needed. These apps are quite handy, rather than merely being a gimmick. The size and clarity of the screen are used for people who find viewing little characters difficult. The larger the digits shown in the display and the brighter the illumination, the easier it is to see. A backlit display is a useful extra feature to look for with display units as not all blood pressure readings are taken in the afternoon. Gurin Products focus on producing goods to improve lifestyles. The company has two brands, Gurin and Santamedical. Their blood pressure monitor range is inclusive with a full Aneroid sphygmomanometer and a stethoscope, and a fingertip pressure reader too. They also have several other products that maintain their focus on promoting healthy, active living to customers. Not every blood pressure device naturally has a micro USB port. 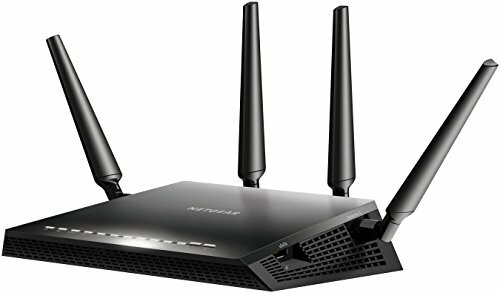 Most devices rely on Bluetooth wireless communication if they have any communication features at all. Don’t assume data is easily transferred to a PC or Mac via USB, Thunderbolt or FireWire cable connections.